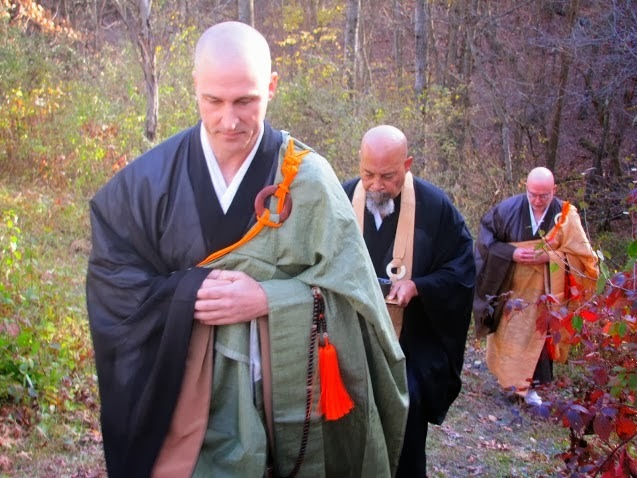 Bright, breezy autumn weather greeted attendees at a November 3rd ceremony dedicating the zendo of So’tekizan Korinzenji, “Patriarch’s Target Mountain, Shining Forest Zen Temple,” or Korinji for short. 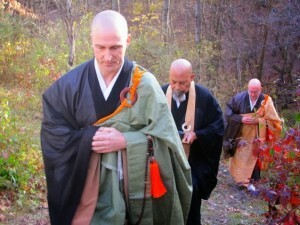 Korinji is a new Rinzai monastery near Madison, Wis. Zen priests, students and supporters from Wisconsin, Illinois, Michigan, New Jersey and Utah – including a number of Birankai Aikido teachers – gathered together to witness the event. 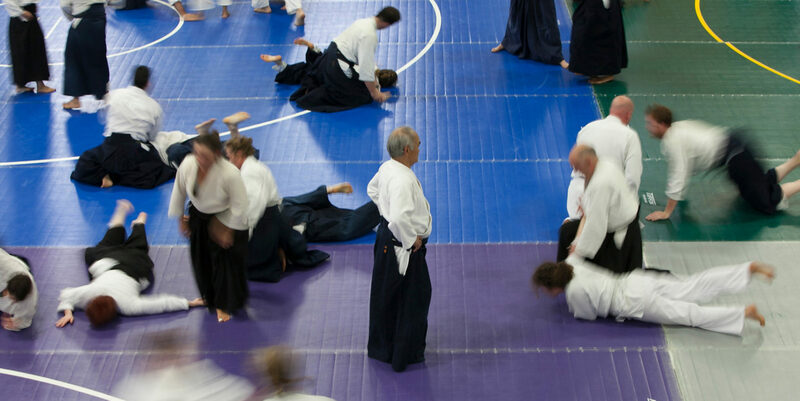 Nearly 50 aikidoka packed the mat at Fire Horse Aikido in New Haven, Conn., for a Birankai seminar on Friday with George Lyons Shihan of Bucks County Aikido. Great training, great teaching and New Haven’s world-famous apizza! See more videos at Biran Online’s channel on Youtube. Check out the video above of an entire class with Didier Boyet Shihan last year at Athens Aikikai — Boyet Shihan will be teaching a seminar at Multnomah Aikikai in Portland, Ore., Feb. 7-9. More info on the seminar here. Below is newly posted video of Boyet Sensei from 2012 Birankai Summer camp in Bronxville, NY. The Birankai North America Senior Council and founder T.K. Chiba have announced the 2014 New Year’s promotions. Congratulations to all! 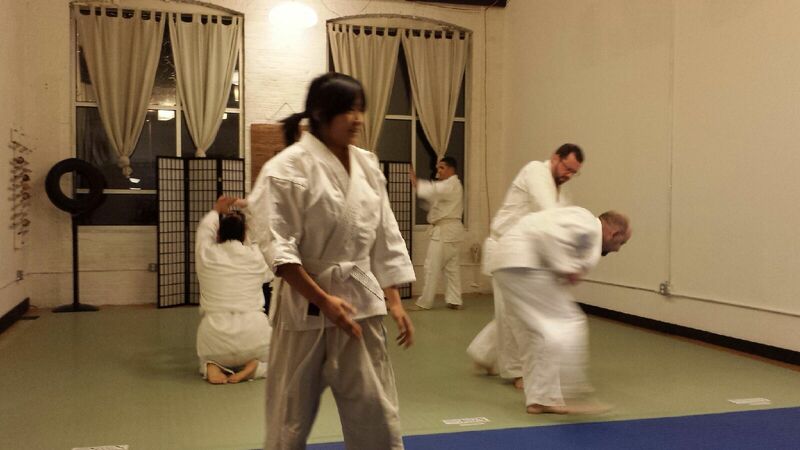 New Year’s practice at Fire Horse Aikido in New Haven, Conn.
Or, Happy New Year! Birankai dojos across the country held special practices in waning hours of 2013 and early hours of 2014 to celebrate the coming Year of the Horse. 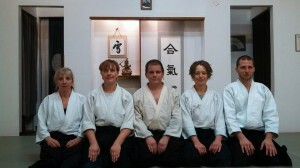 San Diego Aikikai rung in the new year with Misogi harai, zazen and aikido misogi. Aikido misogi is traditionally practiced at Hombu Dojo with 108 suwariwaza shomenuchi ikkyo, the number representing the multitude of worldly passions said to cause suffering in the Buddhist tradition. Members prepared soba, nishime, tempura and inari for the after-party. Birankai teachers celebrate New Year’s in Ann Arbor. 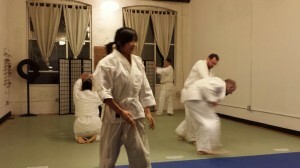 At Fire Horse Aikido in New Haven, Conn., we did 108 ikkyo followed by yosenabe, oden, miso soup and a range of fine foods and beverages. Midwestern teachers gathered in Ann Arbor for New Year’s. Etsunen-Keiko: New Year’s Eve practice. Read this report on the event from Birankai’s own Roo Heins in the Hombu Dojo newsletter. Kagami Biraki: The “breaking the mirror” celebration held about a week after New Year’s. Members pound rice into mochi and then enjoy grilled mochi and sweet bean soup. Read about this event from the perspective of a Brazilian student in this item in the Hombu newsletter. 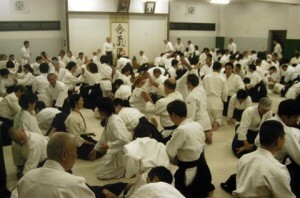 Kangeiko: Mid-winter training period where members are encouraged to train every day for 10 days. Read this report from Guillaume Erard and see the souvenir prizes for participating.